Brief : Ever messed up your Ubuntu system? There is an application that resets your system without a clean install. 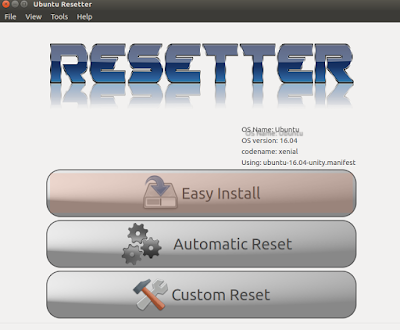 Resetter is an application built with python and pyqt which can help to reset Ubuntu without a clean reinstall. It works with other Debian based distributions too like Linux Mint, Elementary OS, Deepin Linux, Debian GNOME Edition. There are two different options, Automatic reset where it resets everything including your file system and the custom reset where proposes various settings to resets. 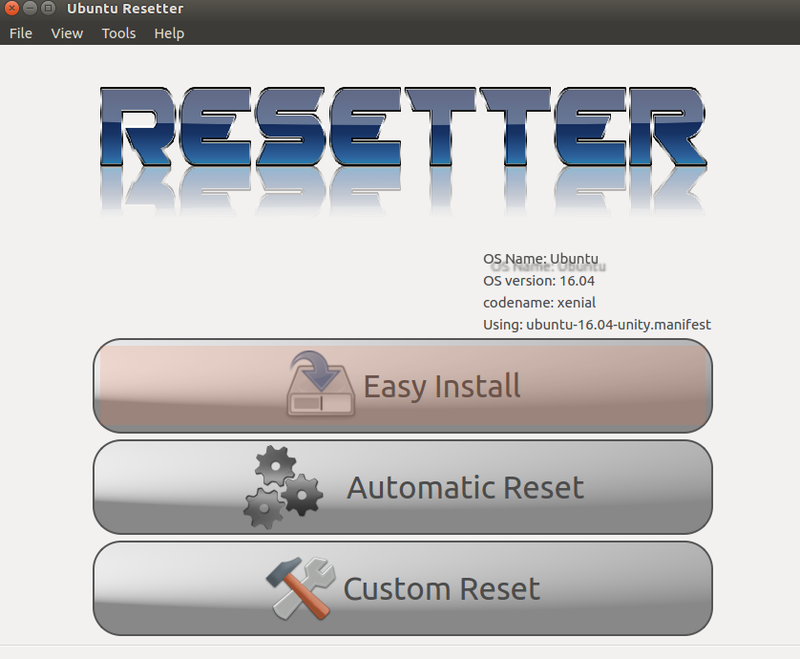 In this article, we will see how we can use Resetter to reset Ubuntu without a reinstall. Don't forget to download both apt key and the resetter deb file. Once done, you can launch Resetter by typing the below command in terminal. Resetter needs root access, so you won't be able to run it without sudo. The launch screen list out your operating system name and version and gives you the three options : Easy Install, Automatic Reset and Custom Reset. Easy install asks you to select an app to install it. I didn't find this option any usable though. Automatic Reset resets everything to the factory defaults. Local user accounts and home directories are also removed. 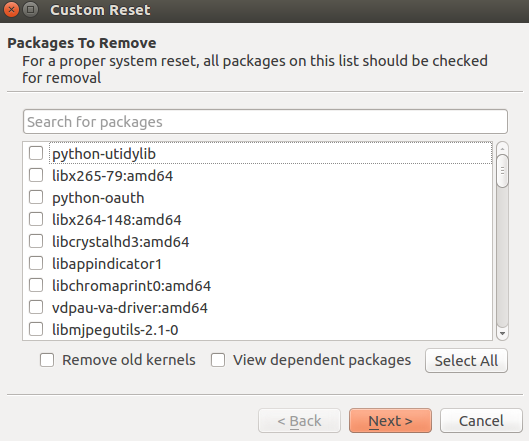 Custom Reset displays all the packages installed and you can select which one to remove. There is option to remove old kernels too and for viewing the dependencies of each package installed. In the next screen, its shows all the users whether you want to delete a user and its home directory or only the user preserving the home directory. Resetter is simple and handy app. Sometimes grabbing a pen drive, burning to a media drive and reinstalling Ubuntu takes much of our time and Resetter simplifies the processor. Some other time, we only want to remove some of the application which we know is causing trouble for our system. What do you think about Resetter, let us know in the comments.